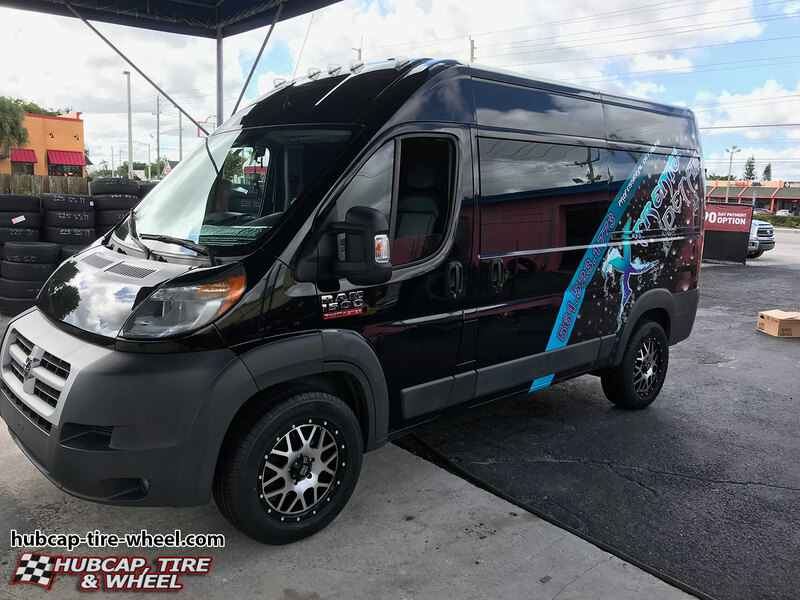 Take a look at our customer’s 2014 Dodge ProMaster 1500 with Grenade XD820 black and machined face rims. This work van project came out great. I will guarnatee you that everyone he goes by will be taking a double look at his Dodge ProMaster. This also doubles up nicely for advertising for his business. This is a great concept. 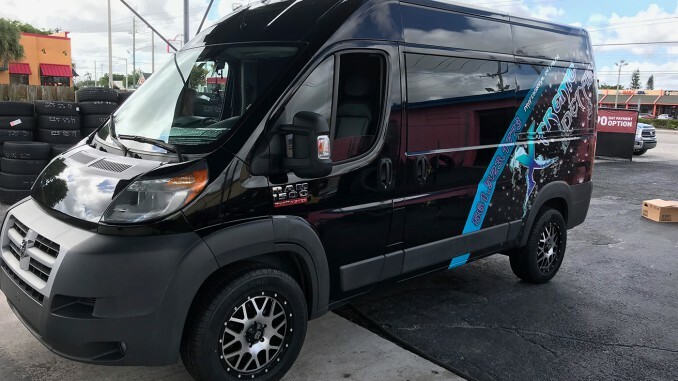 Not many have custom wheels on a Dodge ProMaster van but they are a great addition and we can help you get the look you need. 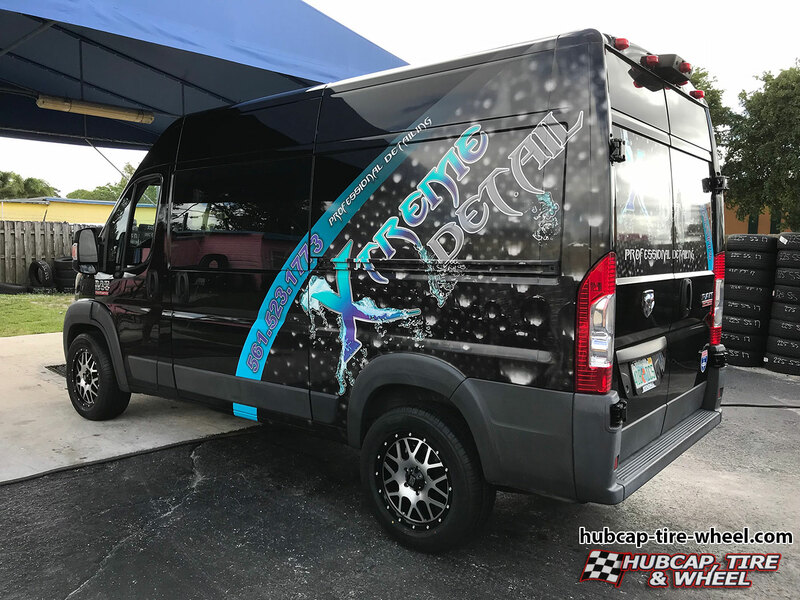 If you are interested in this set up or if you’re looking at any other set up for a different vehicle, please don’t hesitate to call us: 800-232-0734. 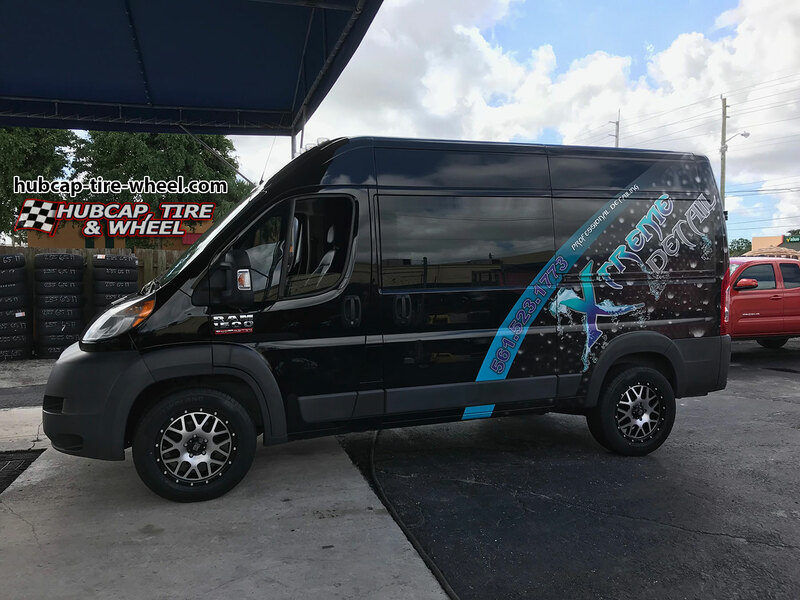 Our wheel and tire experts with over 100 years of combined experience are available Mon-Fri 8:30am-6pm EST and Saturday 9am-4pm EST. Let us help you get exactly what you need so there is no guess work in it. There is a science behind wheel and tire fitment and if you don’t get the correct bolt pattern and offset, it will not work with your vehicle. We also offer guaranteed fitment or your money back. That is how confident we are in our wheel and tire experts. would the same exact wheel but a 16 inch version fit on the Promaster ? I’m pretty sure we talked to one another on Facebook yesterday about this specific wheel, if you just give us a call we will see if that wheel will fit your vehicle properly Matt.